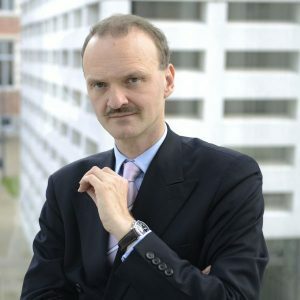 Professor Jörg Monar is Rector of the College of Europe (Bruges/Natolin, Warsaw) since 1 September 2013. His previous positions include Director of the Department of Political and Administrative Studies of the College of Europe (2008-2013), Professor of Contemporary European Studies and Co-Director of the Sussex European Institute, University of Sussex (Brighton, UK), Director of the SECURINT Research project on EU internal security governance and Professor at the Robert-Schuman-University (Strasbourg, France) and Professor of Politics and Director of the Centre for European Politics and Institutions Professor of Politics (Leicester, UK). In addition to his research and teaching functions Professor Monar has done advisory/consultancy work for the European Parliament, the European Commission, the Planning Staff of the German Ministry of Foreign Affairs, the Dutch Scientific Council for Government Policy (WRR, The Hague), the German Bundestag, the French Commissariat Général au Plan (Paris) and the British House of Lords and House of Commons (London). Professor Monar holds a Doctorate in Modern History from the University of Munich and a Doctorate in Political and Social Sciences from the European University Institute, Florence. His over 200 publications relate mainly to European Union justice and home affairs and external relations as well as the institutional development of the Union. He is also a founding editor of the European Foreign Affairs Review.